Having just spent a couple hours photographing Kalamina Gorge, I was starting to make my way out as the sun set. This scene stopped me dead in my tracks and I quickly set up my camera and composed my shot. The beautiful warm light on the rocks only lasted long enough for me to manage a couple of exposures before the sun disappeared behind the clouds. So glad I was lucky enough to photograph it! 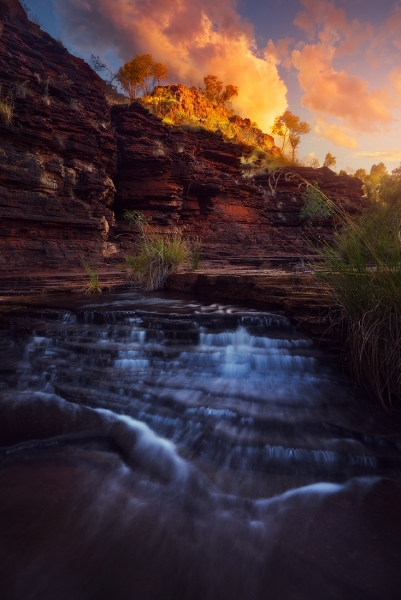 Secure your limited edition, Karijini photographic print, 'As I Leave', by selecting your desired print size in the menu to the right.